Parker Barnes suffered from vocal tics, mood swings, OCD, speech regression, psychosis, hallucinations, depression, deterioration in school performance and handwriting, restrictive eating, and anxiety following multiple bouts of strep throat. 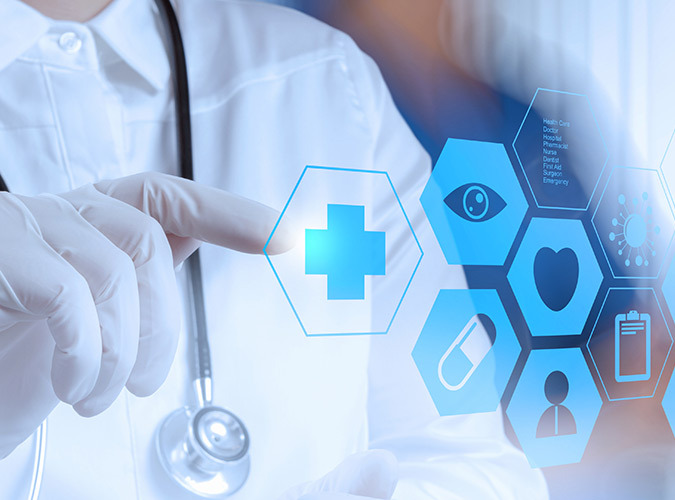 Cunningham Panel™ test results helped clinicians determine appropriate treatments. Parker Barnes’ parents describe their son as a reliable, popular, easygoing kid until he got strep throat at age 10. Within days he became debilitated by severe psychiatric and neurologic symptoms. “His immune system launched a campaign against his brain and within a matter of months he dropped into a psychosis,” says Parker’s dad, Brian. After visiting more than a dozen specialists, Parker Barnes and his mother travel across country to see pediatric neurologist Dr. Beth Latimer. A young girl is hospitalized and fed through a tube after she stops eating, afraid to swallow her own saliva. Nightline takes an in-depth look at three children in crisis, stricken with PANDAS and fighting to regain their lives. Disturbing home videos bring the reality of the disorder to life. Full episode scheduled to be available Friday, July 27 via your local television provider/streaming service. “20/20” follows three families whose young children have suddenly developed psychiatric and neurologic problems, including tics, OCD, anorexia, mood swings and bouts of rage, following a strep infection. Full episode scheduled to be available Friday, July 27 via your local television provider/streaming service. What is the Cunningham Panel™ of tests? 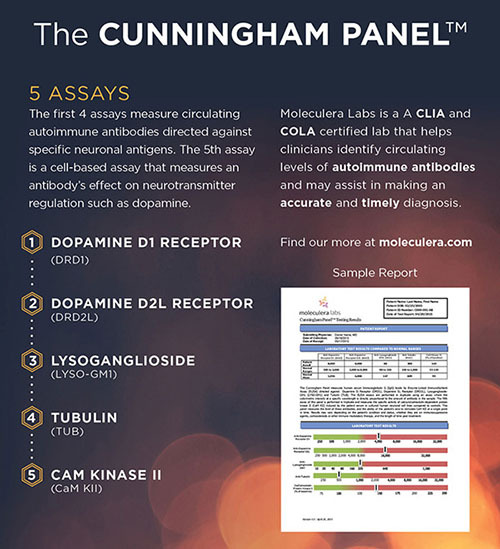 The Cunningham Panel™ is a blood test which measures the levels of circulating autoantibodies associated with certain neurologic and psychiatric symptoms. Elevated levels indicate that symptoms may be due to an infection-driven autoimmune problem, rather than a psychiatric disorder. 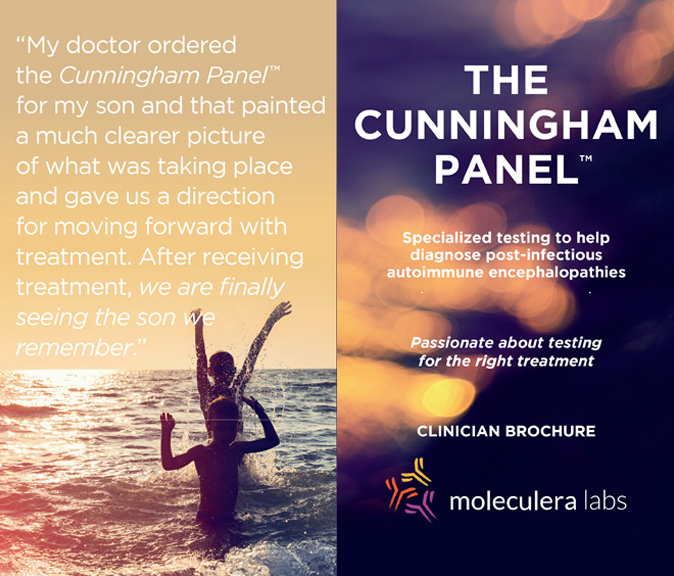 Learn more about how the Cunningham Panel™ of tests can assist you in diagnosing these treatable autoimmune neurologic disorders. Schedule your personal phone consultation with a Moleculera Labs clinical staff member by completing the form below or call Amy Cross, RN, at 405-239-5254.